Today’s market suggests that, for many of us, the perceived prestige of enor­mity takes precedence over design and even structural integrity when choos – sing a home. It seems that even a shoddy status symbol, with its expansive vinyl walls and snap-on plastic window grills, can somehow connote distinc­tion. The finer qualities of design have become as difficult to market as they are to achieve, so they are being replaced by highly-prized square footage. Just as something is typically appre­ciated as good or beautiful when it is deemed necessary, it will be con­demned as ugly or evil when it is considered pointless. Under the right circumstances, murder becomes hero­ism and trash turns into treasure. The distinction between valuables and gar­bage is based primarily on our notions of utility. What two people see as beau­tiful will vary as much as what they consider to be useful. Accordingly, the selfish squandering of valuable resources and the emission of toxins without any worthwhile pur­pose are always corrupt and unsightly. Beauty may be in the eye of the be­holder, but an oversized house is an ugliness we all have to contend with. "Economical” means doing only what is necessary to getting a job done. Anything more would be wasteful and contrary to the inherent simplicity of good design. An economical home affords what is essential to the comfort of its occupants without the added burden of unused space. Excess and economy are mutually exclusive. We can have exorbitance, or we can have the serenity that a sensibly-scaled home affords, but we cannot have both. Like anything else that is not essential to our happiness, extra space just gets in the way. It requires maintenance and heating, and ultimately demands that we exchange a portion of life for the money needed to pay for these extras. For most Americans, big houses have come to symbolize the good life; but, all symbolism aside, the life these places actually foster is more typically one of drudgery. Mortgage payments can appropriate thirty to forty percent of a household’s income not counting taxes, insurance, or maintenance ex­penses. When every spare penny is going towards house payments, there is nothing left over for investments, travel, continued education, more time with the kids, or even so much as a minute to relax and enjoy life. At this rate, an oversized house can start to look more like a debtor’s prison than a home. referred to simply as "hous­ing” and the pricier stuff as "unaffordable housing. " The perception of afford­able housing as something below par is not solely the result of this skewed ter­minology. The structures produced under the banner are usually as elephantine as the more expensive option, but with shoddier materials and even worse design. Through the eyes of the housing industry, square footage pays; qual­ity does not. Square footage is really the cheapest thing that can be added onto a house. The electrical system, plumbing, heating, appliances and structural compo­nents of most any dwelling are similar in at least one key way. They are all expensive. This costly core is housed by the relatively cheap volume that surrounds it. In light of all this, it might seem that you really can’t afford to buy anything less than the most house you can get your hands on. At first glance, it ap­pears that the more you buy the more you save, but it’s the hidden costs that get people into trouble. After all, more house than you need comes with more debt in total, more utility bills, more maintenance than you need and more foreclosures and more bailouts than any of us needs ever again. A small house is not merely as good as its larger correlate; it is better. A home that is designed to meet its occupants’ domestic needs for contented living without exceeding those needs will invariably surpass the quality of a bigger one in terms of sustainability, economics and aesthetics. Our houses are the biggest in the world—four times the international aver­age. Since 1950, the median size of a new American house has more than doubled, even though the number of people per household shrank by more than 25 percent.3 Not so long ago, you could expect to find just one bathroom in a house; but, by 1972, half of all new homes contained two or more bath­rooms. Ten years later, three-quarters did. More bathrooms, more bedrooms and dens, bigger rooms overall, and, perhaps most notably, more stuff, have come to mean more square footage. America’s houses have, quite literally, become bloated warehouses full of toys, furniture and decorations, and a lot of things we may never see or use. who may never arrive. It is not uncommon for a living room to go unused for months between social gatherings and, even then, quickly empty out as guests gravitate toward the informality of the kitchen. Until recently, the issue of over-consumption was conspicuously absent from mainstream green discourse. You are unlikely to find the answer to sprawl of­fered in a sustainable materials catalogue. Accountable consumption stands to serve no particular business interest. Building financiers and the real es­tate industry are certainly pleased with the current situation. Bigger is better, from their perspective, and they are always eager to tell us so. If you do only one thing to make your new home more environmentally sound, make it small. Unless supporting the housing industry is the kind of sustain­ability you hope to achieve, a reasonably-scaled home is the best way there is to make a positive difference with real estate. My reasons for choosing to live in such small houses include some envi­ronmental concerns. The two largest of my three, hand-built homes were made with only about 4,800 pounds of building materials each, less than 100 pounds of which went to the local landfill. Each produced less than 900 pounds of greenhouse gases during a typical Iowa winter. And, at 89 square feet, plus porch and loft, each fit snugly into a single parking space. In contrast, the average American house consumes about three quarters of an acre of forest and produces about seven tons of construction waste. It emits 18 tons of greenhouse gases annually, and, at more than 2,349 square feet, it would most definitely not fit into a single parking space. Finances informed my decision, too. Quality over quantity became my man­tra. I have never been interested in building anything quite like a standard travel trailer or mobile home. Travel trailers are typically designed for more mobility and less year-round comfort than I like, while most manufactured housing looks too much like manufactured housing for my taste. Common practice in the industry (though not inherent or exclusive to it) is to build fast and cheap, then mask shoddiness with finishes. This strategy has allowed mobile homes to become what advocates call "the most house for your mon­ey.” It has, in fact, helped to make manufactured housing one of the most af­fordable and, thus, most popular forms of housing in the United States today. This is pretty much the opposite of the strategy I have adopted. I put the money saved on glitz and square footage into insulation, the reinforcement of structural elements, and detailing. At $30,000, Tumbleweed cost about one – sixth as much as the average American home. Only about $15,000 of this total was actually spent as cash on materials. That is less than half of what the average American household spends on furniture alone. The remaining $15,000 is about what I would have paid for labor had I not done it myself. The cost of materials could have been nearly halved if more standard ma­terials were used. A more frugal decision, for example, would have been to skip the $1,000, custom-built, lancet window and install a $100, factory-built, square one instead. But I was, and I remain, a sucker for beauty. The total cost was low when you consider I was able to pay it off before I moved in—but not so low when you consider that I sunk over $300 into every square foot. The standard $110 per square foot might seem more reason­able, but I succumbed to the urge to invest some of the money saved on quantity into quality. As a result, my current residence is both one of the cheapest houses around and the most expensive per square foot. anything else that is superfluous, extra space merely gets in the way of my contentment. I wanted a place that would maintain my serene lifestyle, not a place that I would spend the rest of my life maintaining. I find nothing de­manding about Tumbleweed. Ev­erything is within arm’s reach and nothing is in the way—not even space itself. In 2005, I moved to the San Francisco Bay Area. I had heard a lot of horror stories about the price of properties in the region, so I sold Tumbleweed and built myself an even smaller house to take with me. I figured I had better have something I could parallel park, in case I had to live on the street for a while. I called my next home XS-House (as in, “extra small”). It measured about 7’ x 10’. Like Tumbleweed, it was on wheels, it had a steep metal roof, classic proportions and a pine interior punctuated by a metal heat­er on its central axis. A bathroom, kitchen, and sleeping loft featured essentially the same utilities as my previous residence. Unlike Tumbleweed, there was a four-foot long, stainless steel desk and a couch, and the exterior walls were clad in corrugated steel. All things considered, my move westward went smoothly. Gale-force winds broadsi­ded my tiny home all the way from Omaha to central Nevada, but both the house and the U-Haul came through unscathed. I parked in front of the Sebastopol Whole Foods for three days. The U-Haul was al­most due when a woman approached to ask if I would consider parking on her land to serve as a sort of groundskeeper. I would live just yards from a creek at the edge of a clearing in the redwoods. I would pay noth­ing and do nothing other than reside on the property. I was lodging amongst the red­woods by nightfall. With my fear of having to live on the streets allayed, I built a new house and sold the XS before I had even settled in. I call my most recent domicile, "Tumbleweed 2.” At 8’ x 12’ with a steep, metal roof over cedar walls, it looks just like the first Tumbleweed on the outside. I reconfigured the inside to ac­commodate a couple of additional puffy chairs and a five-foot long, stainless steel desk. I have been living in this house for nearly three years, and I have no intention of moving out any time soon (see pages 24 and 130 – 137 for photos). I had managed to side-step building codes by constructing not a building, but a "travel trailer.” With that stumbling block out of the way, I still faced a zoning problem. I want­ed to live in town, and, like most towns, Iowa City does not allow trailer camping just anywhere. You cannot just buy an old lot and park there indefinitely. The restric­tions do, however, allow for "camping out” in one’s own backyard. Upon discovering this, I snatched up a small fixer-upper on a large wooded par­cel and proceeded to set up camp. The rent collected from the big house covered the ensuing mortgage and taxes. I would "camp out” in my own backyard for the next five years before selling the property and heading West. Like the rest of the house, utilities and appliances were designed with sim­plicity and sustainability in mind. They met my modest needs but would be considered primitive by conventional American standards. These rudimen­tary utilities certainly would not appeal to everyone interested in living in a small home, and it should be made clear that living small does not require deprivation. Hot and cold running water, a microwave oven, and cable TV are all available options. Water: Tumbleweed was supplied by a simple, gravity-fed plumbing system. A two-and-a-half-gallon pot sat on a metal shelf just above a horizontal sec­tion of stovepipe in the overhead kitchen cabinet and drained into either the kitchen sink or shower through a Y intersection in a short stretch of rubber hose. The water was kept warm as long as the heat stove was on, and it could be made hot by setting the pot directly on the stove or a burner. The pot was filled at a nearby spigot. Gray water drained directly into the garden. Heating and Cooking: The best source of heat most structures can use is that of the sun. I installed windows on all but what was intended as the north wall of Tumbleweed for good solar gain. A covered porch on the south side kept the heat of the high summer sun out while letting the lower winter rays flood the house with their warmth. A gas heater kicked in on cloudy days and cold nights. I chose a gas stove over a wood one mostly because gas stoves only require about one-sixth as much clearance from flammable surfaces. This, in turn, allowed me to have pine walls without having to put my heater right in the middle of an already tiny room. The cleanliness of gas also seemed to make sense in a small space, and I liked the idea of precise control with a thermostat rather than the frequent stoking that a small wood stove requires. The propane tank that fed the heater also supplied an R. V. cooktop. It is upon this same double burner that a camp oven was set for baking. Toilet: My composting toilet amounted to little more than an airtight bucket, a can of sawdust and a couple of compost piles outside. Sordid story short, the bucket was used as an indoor toilet and sawdust was put into the mix to absorb odor and balance out the carbon-to-nitrogen ratio. This bucket was emptied onto one compost pile or the other every so often, then rinsed. (Please see J. C. Jenkins, The Humanure Handbook, for details on this and other methods of composting human manure.) While the idea of carrying one’s own poop (or anybody else’s for that matter) to a compost pile off away from central living quarters may sound both inconvenient and plainly unacceptable to most Westerners, its appeal for more than a few will be its absolute efficiency. Without electricity, running water, or waste and only small inconvenience as its price, a cleaner environment and soil-building compost are made available. Electricity: By now, these description of rudimentary plumbing and a plastic chamber pot may have made it sound as if my house was more derelict than homey. But, as I have said, these utilities were of my choice, and for me, choice is, in itself, a luxury. In fact, there was plenty of room for modern con­veniences. The integral CD player, TV, and VCR disqualified the house as an ascetic’s shanty. These appliances, along with six lights, two fans, and a radio, were all powered by the sun through a single solar panel. I chose not to mount the panel on my roof but kept it separate. This allowed me to situate the house in a shady place during the summer while collecting energy at the same time. 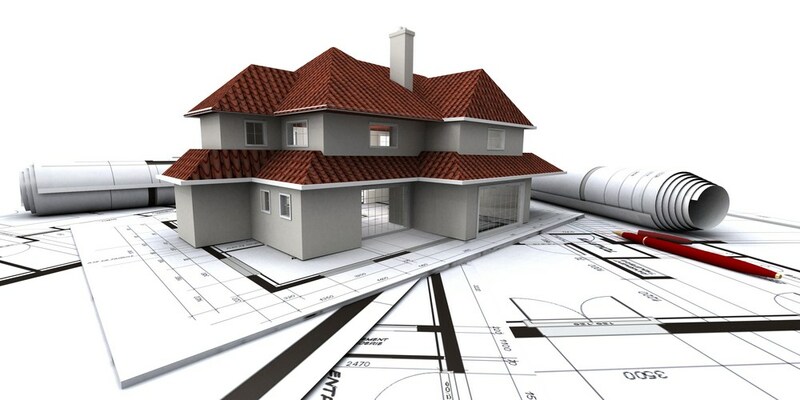 It was not until after I thought I had al­ready finished designing my little dream home that I became familiar with the term “minimum-size standards.” Up to this point, I had somehow managed to re­main blissfully unaware of these codes; but, as the time for construction neared, my denial gave way to a grim reality. My proposed home was about one-third the size required to meet local limits. A drastic change of plans seemed unavoidable, but tripling the scale of a structure that had been designed to meet my specific needs so concisely seemed something like alter­ing a tailored suit to fit like a potato sack. I resolved to side-step the well-intentioned codes by putting my house on wheels. The construction of travel trailers is, after all, governed by maximum – not minimum size restrictions, and since Tumbleweed already fit within these, I had only to add some space for wheel wells to make the plan work. looked a bit like American Gothic meets the Winnebago Vectra. A steep, metal roof was supported by cedar-clad walls and turned cedar porch posts. The front gable was pierced by a lancet window. In the tradition of the formal plan, everything was symmetrical, with the door at exterior, front center. In­side, Knotty Pine walls and Douglas Fir flooring were contrasted by stainless steel hardware. There was a 7’ x 7’ great room, a closet-sized kitchen, an even smaller bathroom and a 3’ 9”-tall bedroom upstairs. A cast-iron heater presided like an altar at the center of the space downstairs. In fact, the whole house looked a bit like a tiny cathedral on two, 3,500-pound axles. The key to designing my happy home really was designing a happy life, and the key to that lay not so much in deciding what I needed as in recognizing all the things I can do without. What was left over read like a list I might make before packing my bags for a long trip. While I cannot remember the last time I packed my TV, stereo, or even the proverbial kitchen sink for any journey, I wanted this to be a list of items necessary not only to my survival, but to my contented survival. I am sure any hard-core minimalist would be as appalled by the length of my inventory as any materialist would be by its brevity. But then, I imagine nobody’s list of necessities is ever going to quite match any­body else’s. Each will read like some kind of self-portrait. I like to think that a house built true to the needs of its inhabitant will do the same. I have been living in houses of fewer than 100 square feet for nearly twelve years. The first of my little abodes was a fourteen-foot Airstream. I bought it in the summer of 1997 for three thousand dollars. It came as-is, with an aluminum shell as streamlined and polished as what lay inside was hideous. The 1964 orange shag, asbestos tiles, and green Formica would have to go. I began gutting, then meticulously refurbishing the interior in August, and by October, I was sleeping with an aluminum roof over my head. The place looked like a barrel on the inside, with pine tongue-and-groove running from front-to-back and floor-to-vaulted ceiling. I settled in on a tree-lined ridge at the edge of a friend’s alfalfa field. It was a three-minute walk to Rapid Creek Road and a ten-minute drive from there to Iowa City. I carried water in from a well by the road and allowed it to drain from my sink and shower directly into the grass outside. I carried my sawdust toilet (i. e., bucket) out about once a month and took it to the sewage treat­ment facility in town. My electrical appliances consisted of a fan, six lights, a 9-inch TV/VCR and a small boom box. A single solar panel fed them all. It seemed that this simple existence would provide all I needed. Then December came. I had reinforced most of the trailer’s insulation, but some areas remained thin. I spent over a half-hour each morning, from Christ­mas until Valentine’s Day, chipping ice and sponging up condensation from my walls, floors and desktop. This went on for a couple of winters before I be­gan construction on the tiny house I have since come to call "Tumbleweed”. I live in a house smaller than some people’s closets. My decision to inhabit just 90 square feet arose from some concerns I had about the impact a larger house would have on the environment and because I just do not want to maintain a lot of unused or unusable space. My house meets all of my do­mestic needs without demanding much in return. The simple, slower lifestyle it affords is a luxury for which I am continually grateful. If smaller, well-designed houses aren’t the wave of the future, they certainly are a significant ripple on that wave. On these pages, I explain why. I also share my personal experiences with living in diminutive homes, meeting codes, and designing small spaces that work. This book is a revised edition of the one I published several years ago under the same title. To this edition, I’ve added a section on how to build your own tiny house and a portfolio of my own designs. I hope you enjoy it.